It’s always nice to have a client (especially one in television and journalism) tell you that they truly LOVE and appreciate the cinematography that we do! 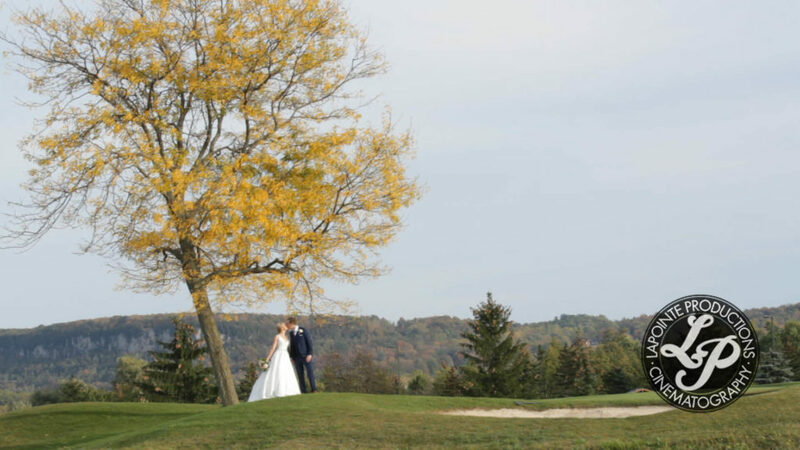 We’ve initially received an email inquiry from Laura and she mentioned a highlight video that had taken place at Credit Valley Golf Course on our website that caught her attention and wanted to know, if we were available on her BIG DAY! During our initial consultation with Laura and Daniel over Skype, it was plain to see how deeply in love they were. The Bride and Groom-to-be told us how eagerly they were looking forward to their big day at Crosswinds Golf and Country Club to say their vows and start the next chapter of their lives together. The morning of their wedding was a beautiful autumn day and a sign of things to come. 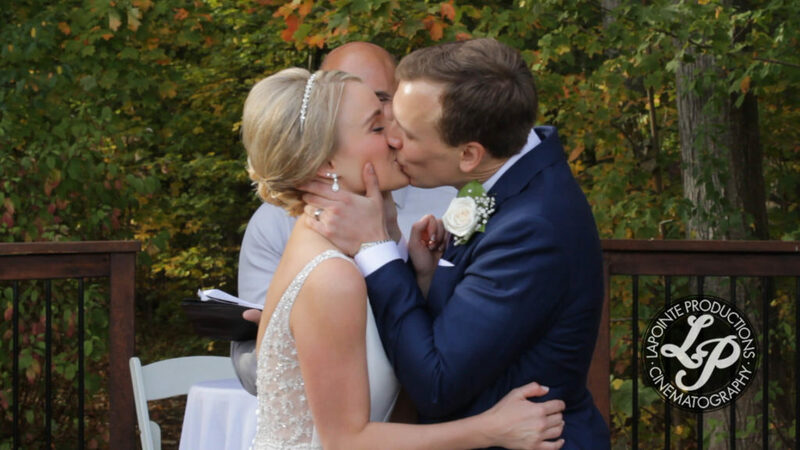 As Laura and Daniel got ready in anticipation of their moment, they couldn’t help but smile at reading heartfelt words they had written to each other the night before heading to their outdoor ceremony site. As Laura walked down the aisle with her father by her side, Daniel anxiously exhaled. It was the moment they had both been waiting for amongst the beautiful background of fall colours around them. They both knew that they were meant to be together and bound by a pledge to be there for each other for the rest of their days. Laura and Daniel are truly dedicated to each other and with the love and support of their friend and families, we are sure they will have a long and happy life together!